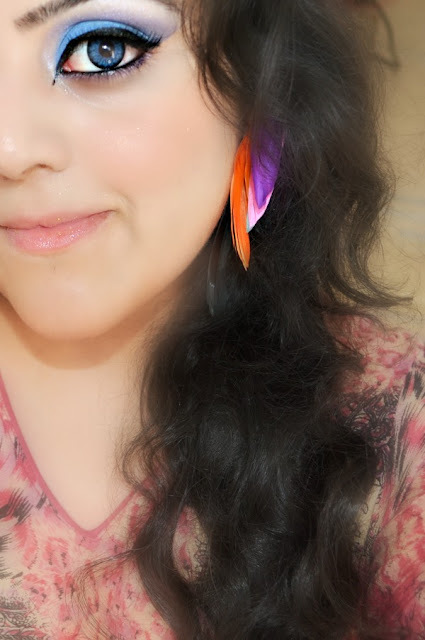 Very excited to share my multi-colored feather ear piece which I bought from Romwe. Romwe is a most reliable and trusted online shopping site for the girls who love shopping online and famous among fashion lover because of their latest street online fashion clothing range, but I do visit romwe for their splendid range of jewllery and every time i find something beautiful to share with my girls. 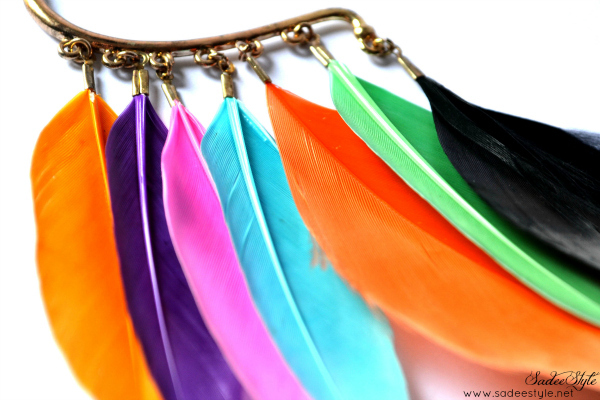 For this time I picked up multi-colored feather Earpiece, Feathers jewllery is a huge trend right now, and they are showing no signs of going anywhere any time soon. This beautiful product immediately caught my attention when I saw it on romwe jewelery section immediately order this and package came as usual in 10 days. 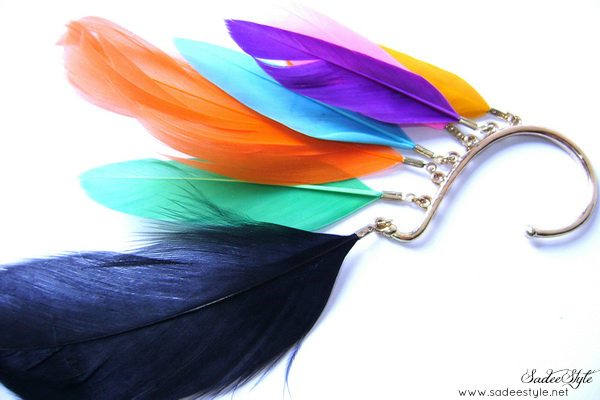 The exquisite ear piece made with real feathers, I am hooked the sharp and bright colors, defiantly enhanced the beauty of the makeup look. I love the idea of wearing these multi-colored blue earrings with a flowing maxi dress, or with a simple look of jeans and shirt. If you love wearing colors you have to own this styling ear piece. They are high quality at an affordable price and available on Romwe. wow.is that u in the pic.you r so pretty mashallah.the ear ring is pretty. Looks wonderful, I love your eye make-up! Very pretty! This accessory is amazing! !thanks for visiting my blog! !of course I'd like to follow each other!you've got an original blog!! ;) follow you now!